Myanmar is the perfect example of a trip that isn’t simply a holiday or a reward, but a deeply satisfying and life-changing experience. The “Golden Land” truly lives up to its name, with gilded spires dotting the skyline of the capital, Yangon, and beaming smiles meeting you at every corner. Myanmar can offer travelers not just unforgettable memories of incredible temples and exciting boat races, but a true sense of spirit as this diverse people welcomes you all into an entirely new, culturally-rich world. 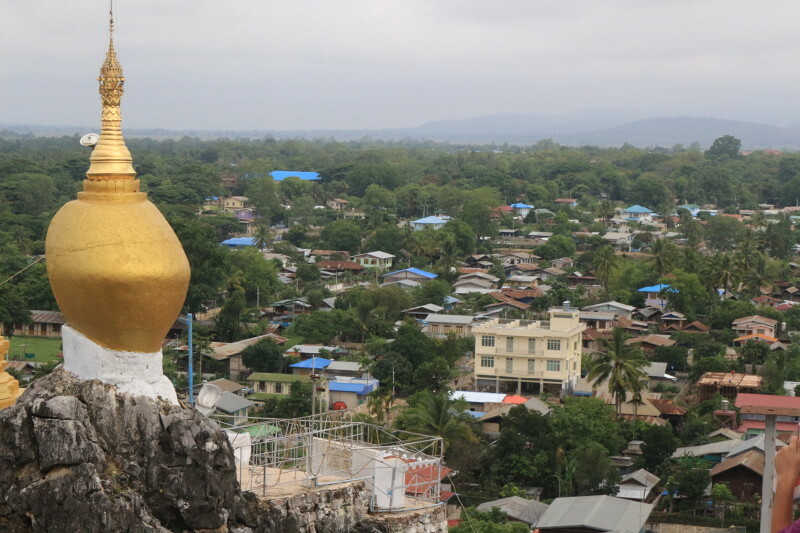 For many visitors, the rock (standing 7.6 metres tall) and the gilded pagoda which sits on top of it (itself 7.3 metres tall), which are said to cover a hair of the Buddha, are the main draw, but another reason to make the journey are the panoramic 360 degree views of the surrounding Mon State mountains from the summit. Ancient sites in Myanmar are generally associated with fabulous traditions and folklore handed down from generation to generation since ages past. Beikthano is not an exception. It is traditionally believed to have been founded some 2,400 years ago by Princess Panhtwar descended from a still legendary dynasty of Tagaung in Upper Myanmar. The fall of the city is attributed to a mightier king, Duttabaung of Sri Ksetra, who sacked the city, subdued the princess, took her captive and eventually married her. In the present stage of historical research in this country the personalities characterized in the legend are beyond authentic identification. However, the existence of an ancient city called Beikthano (Vishnu City) is testified by the ruins which stand to this day and indicates that the legend may have sprung up from a nucleus of true facts. Burma’s long, thin Tanintharyi Region stretches south down the Andaman coast and eventually narrows to a sharp point. At the very tip of this point, just shy of 1,200 kilometres south of Yangon, you’ll find the small port, border crossing, administrative centre and market town of Kawthaung which is also the most southerly limit of Burma. Moreover, Despite its waterside setting, Kawthaung itself is not a particularly beautiful town – but it is an interesting and culturally varied place to wander around, with strong Indian and Muslim influences. As is customary for Myanmar towns of this size, Kawthaung is home to hilltop pagodas offering good views of the sea and surrounding area; the Pyi Daw Aye Pagoda is close to the centre of town and has market stalls at it entrances. 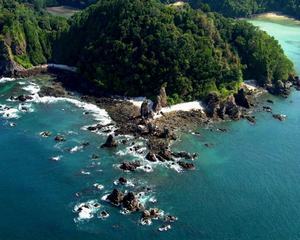 Myeik (formerly Mergui) is a fascinating town located along Tanintharyi region’s Andaman coastline. The least visited of Burma’s southern destinations, it’s a town of interesting contrasts and one that is likely to change enormously in the coming years. The town boasts a sprinkling of isles on its horizon while the town itself is geographically up and down and round and round. It’s home to fantastic old colonial period architecture, yet displays a building boom the likes of which we haven’t seen elsewhere south of Yangon. Late November to mid March. Dawei (Tavoy) is the capital of Tanintharyi Division, in Southeastern Myanmar. As this area has been closed for tourism until early 2013, it is largely undeveloped and unexplored and makes for a very authentic and rewarding experience. With a magnificent, largely untouched coastline, jungle interior and a sprinkling of islands, Burma’s Dawei region more than anywhere else along this coastline has enormous potential for explore. Sri Ksetra (Thayekhittaya in Myanmar), one of the ancient Pyu capitals of Myanmar, lies five miles south-east of Pyay on the left bank of the Ayeyarwady and about 180 miles north-west of Yangon. The founding of the city is popularly attributed to the reign of Duttabaung as early as the 101 st year of religion, that is, some two thousand four hundred years ago. The 1,500-year-old stupas and temples of Sri-Ksetra are among the earliest Buddhist monuments in the world. Built of brick, the stupas of Bawbawgyi and Phaya-mar and temples of Lemyet-nhar and Bebe were also among the first structures to employ a vaulted arch system, which later became prevalent in Myanmar and throughout Southeast Asia. Added to the UNESCO World Heritage list in 2014, the site is centred on the remains of the royal palace and, although not much remains of the original city, there are a number of tombs, palaces, pagodas and other religious sites to explore – including the huge, cylindrical, brick-built Baw Baw Gyi Pagoda, said to be the oldest Buddhist monument in Myanmar; the Rahanta Cave Pagoda; the Lay Myet Hna monument; and the royal cemetery. 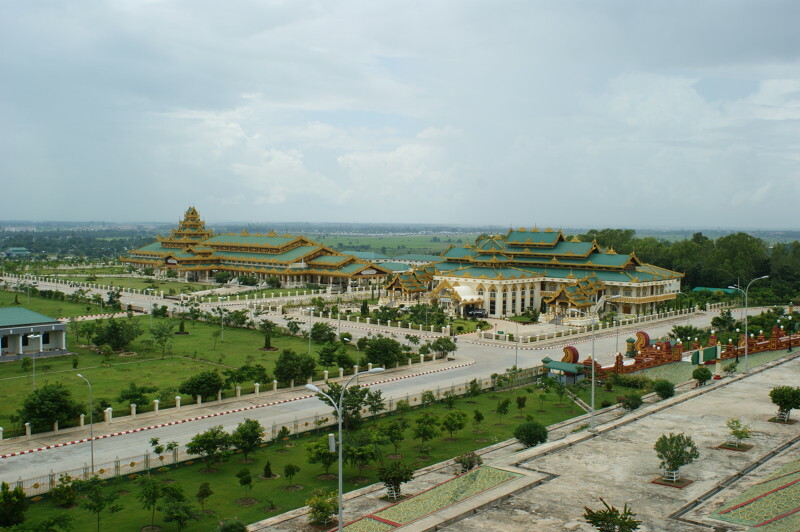 Absurdly grandiose in scale, Naypyidaw (one translation is ‘Royal City of the Sun’) is a sprawling, shoddily constructed city with eight-lane highways, 24-hour electricity, and zones for shopping, government housing and hotels, ministry buildings and generals’ homes. Apart from the roadblocks that protect the roads leading to the generals’ mansions, ministry buildings and the parliament, it’s surprisingly open. Visits to some of its sights, including a giant gilded pagoda, allow you to mingle freely with locals while putting a dollar or two into the private economy. This aside, it can feel soulless – Canberra meets Brasilia with a peculiar Orwellian twist. An almost imperceptible rise means that the attractive village of Hanlin (Halingyi, Halin, Halim) sits very slightly above the pan-flat surrounding plains. For centuries this geographical advantage was deeply significant and the site was home to a large city over 1600 years ago. Moreover, Hanlin village is a magical place in its own right. Unpaved ox-cart tracks link an incredible plethora of decaying old stupas that create the feeling of an untouched mini-Bagan. It’s best appreciated when the area is viewed from behind Maung San Monastery with its obvious golden zedi. 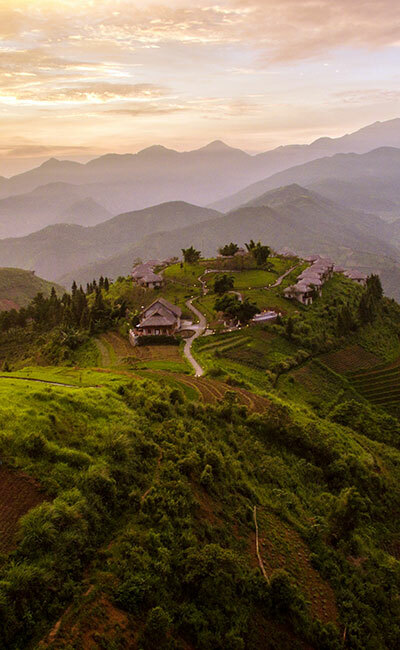 “Mystical,” “magical,” and “outrageously beautiful” are but some of the words used to describe the azure Inle Lake, nestled amidst the mist-shrouded Southern Shan plateau. The Inthar tribe, who populate this dramatic area, have built their houses over the water on stilts, and have a most diverse, aquatic economy. 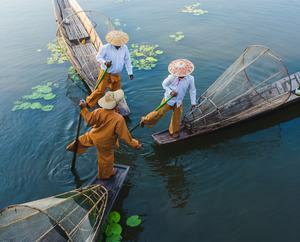 The area around Inle Lake is dotted with fabulous architectural and archaeological delights, as well. Ancient Buddhist monasteries abound, and the remarkable ruins of the villages of Sagar and Indian are not to be missed. However, the real jewel in the crown is the holiest of shrines in the Southern Shan State: the Phaung Daw Oo Pagoda. And with the vibrant, colorful, and truly exciting market, selling anything from fresh produce to souvenirs, you will never be bored here! Lashio was famous in World War II as the starting point for the Burma Road. Capital of the northern Shan State, this major settlement is both Shan and Chinese-influenced, being extremely close to the Yunan province of China. 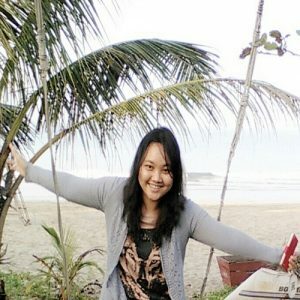 The two major, local attractions are a train ride across the dramatic Gokehtaik viaduct, which offers some of the most astonishing panoramic scenery anywhere in the world, and a visit to the nearby hot spa – popular with local pilgrims, who believe that bathing in the warm waters will purify them in both body and mind. 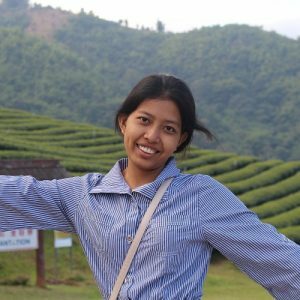 The charming hill station of Kalaw sits on the western edge of the Shan plateau, at an altitude of approximately 1350 meters, and was established by the British as a summer resort. The locals’ living quarters are located in the valley, whereas the delightful colonial buildings can be seen on a circular road in the hills that rings the town. 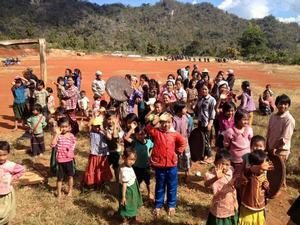 Moreover, Kalaw is also known as Myanmar’s trekking paradise. Whether you are after a brief stroll just to soak up the atmosphere or explore further and take in some hill glimpses and the colourful flower-lined streets, Kalaw offers a wide variety of options for discovery – and a freedom of unfettered movement that is not always possible in other, more remote parts of Myanmar. Pindaya is a small town and home to the Danu minority people. It is located in a fertile valley, bordered to the West by a 1700-meter-high mountain range, and is rightly famed for its magnificent caves. The drive to Pindaya is incredibly scenic, whether you come from Inle Lake, Kalaw, Mandalay, or Bagan. Soak in the beauty of multi-coloured fields, tribal villages, buffalo cowboys, bamboo hat makers, orange farms, and bullock carts loaded with cabbages this region has to offer. Bhamo is an old trading port town, situated in Kachin State, on the banks of the Irrawaddy River. The Chinese border is only 80 kilometers away, and the infamous Ledo-Burma Road, which was built by the Americans during World War II, passes right by the town. About 3 kilometers north of Bhamo lie the remnants of the 15th century Shan Kingdom of Sampanago, its ruined pagodas and overgrown, city walls slowly being swallowed by the trees. In a remote part of northern Myanmar, surrounded by some of Southeast Asia’s highest, ice-capped peaks of the Himalayan Range, lies the peaceful town of Puta O. This is the northernmost town of any significant size in Myanmar, and thus the gateway to unique, frontier explorations into the ecologically-rich forests and snow-capped mountains that separate Myanmar from India’s Arunachal Pradesh. Mogok offers a break from the cultural and religious sites of Myanmar by offering much different, authentic, interactive experiences. In addition, the town is just 200 kilometers north of Mandalay, but with so few tourists, making it an easy, off-the-beaten track addition to a classic itinerary. Long closed to foreigners, the ruby-mining town of Mogok is now open to explorers and travelers. Around 90% of the world’s rubies originate in Myanmar, with Mogok and the surrounding area acting as a key hub of the ruby trade. The old Shan Palace (which was the residence of the first president of Burma) houses so much of historical interest, including a genuine royal throne, as well as numerous, incredible photographs of the royal period. The town’s Ratanar Maung Aung temple is also not to be missed, with its wonderful collection of religious antiques. This town offers good value accommodation, and is a great place to start a bicycle tour around the lake or its surrounding villages. Mount Popa can be simply described as the “Mount Olympus” of Myanmar. Located 48 kilometers southeast of Bagan, the road to Mount Popa passes several Burmese villages amongst toddy palms and farms of peanuts, corn, sesame, and grapes. Be sure to stop and chat with the locals, and you will surely be rewarded with an opportunity to sample the local alcoholic spirit, distilled from palm sugar! With a population of approximately 1.2 million people, Mandalay – located 700 kilometers north of Yangon – is Myanmar’s second largest city, and as a result of its proximity to China and a trade route with India, is the country’s main commercial hub. The Hill, its slopes studded with pagodas, still looms large over the city. Throughout history, Mandalay was bombed flat in WWII and the palace disappeared, along with so much more irreplaceable history. The palace was rebuilt in the 1990s, and since then, Mandalay has undergone a massive construction boom that places less emphasis on aesthetics and more on growth. An increasing number of motorbikes and cars clog the roads, too, making for a sometimes smoggy city. Mingun is a sizable Burmese village on the western bank of the Ayarwaddy River, 11 kilometers north of Mandalay, and can be reached by an extremely pleasant, 90-minute boat ride along the Irrawaddy River. Although it has never been a ‘royal city,’ Mingun has much to offer, with its bustling port and fascinating historical sights. Besides, Mingun would have become the home of the world’s largest religious monument – if it had been completed! This signature, unmissable destination in Mingun is ehe Mingun Pahtodawgyi, the remains of a massive construction project begun by King Bodawpaya in 1790, which was intentionally left unfinished, when the King passed away. Yangon, the capital of Myanmar, is quite verdant and cool, with lush tropical trees, shady parks, and beautiful lakes, earning it the title of “The Garden City of the East.” At the same time, it also exudes an atmosphere of a typical, bustling Asian city. 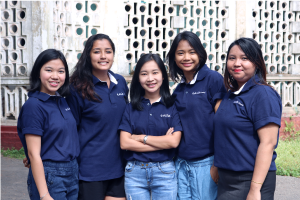 As the main arrival point to the country by both sea and air, it is very much Myanmar’s hub of both commercial and administrative activities, as well as the country’s main center of learning, hosting numerous educational institutions. On the other hand, in many ways, Yangon (formerly known as Rangoon) still retains its signature culture and beauty. The city remains focused around the Shwedagon Paya, an inspiring, golden Buddhist monument, around which everything else in the city revolves. Quite close to it are the parks and lakes that provide Yangonites with an escape from the surrounding bustle and a bit of natural peace. Hpa-An is a small town, but a busy center of commerce, with its bustling “farmers markets.” The population is largely made up of the Kayin and Burmese people, and the town’s most distinguishing feature is the limestone pinnacle forming the Zwegabin Mountain, which provides a dramatic backdrop for the entire town. Beyond this, endeavor to experience the local life; hike, visit world’s biggest lying Buddha, or simply wander the beautiful, lush rice fields. The Northern Chin State – near the border with India – is rugged and remote, with long distances between villages. This is a region for taking a true ‘journey,’ rather than seeking a specific destination. The scenery is stunning, and the small villages offer lots of opportunities for genuine interaction with locals. Even though the tourist infrastructure remains undeveloped, the area offers travelers authentic, adventurous and memorable experiences. Pyin Oo Lwin – originally a Shan-Danu village – was occupied by the British in 1885, who transformed the village and renamed it Maymyo, or “The City of May,” so named for a British officer of the same name, stationed here to deal with a Burmese uprising. 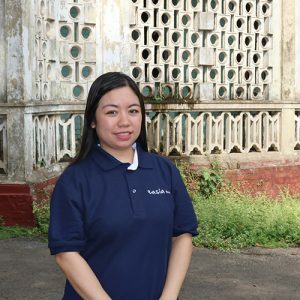 In 1896, the city became a hill station for the European civil servants based in Mandalay to retreat to during the hottest months, from March through May, and there are a number of Edwardian style cottages still standing as a monument to the occupation. Traveling to Loikaw is as much about the journey as it is about the destination, itself – the locale is best reached by a combination of boat and car. The boat trip goes to the remote, southern ends of Inle Lake, stopping in the town of Sagar, far away from tourists. On the return journey, the overland trip passes through scenic Shan Hills, with no signs of tourism development and several hill tribe villages, making it a fantastically authentic experience. Although Sagaing is the capital of the largest province in Myanmar, it seems to be a sleepy, quiet, and untouched place. This is largely due to its proximity to the fabulous city of Mandalay, a mere 25 kilometers away, where most of the businesses in the region have chosen to make their base. This charming, friendly town is a major monastic center, and a somewhat serene escape from Mandalay’s constant buzz. A highlight is walking the sometimes steep, covered stairways that take you past monasteries and nunneries to vistas, from which you can survey the river and a stunning landscape of emerald hills and stupas. 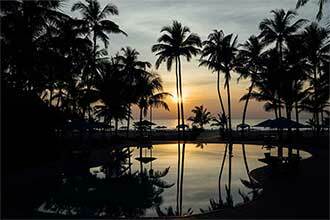 Ngapali Beach is probably the best-known resort in Myanmar. It is located in Rakhine State, in western Myanmar, close to the ancient city of Thandwe on the Bay of Bengal. The white sandy beach stretches for around 11 kilometers ,fringed by swaying coconut palms, and boasts cobalt-blue waters. On the other hand, Ngapali maintains a laid-back, fishing village vibe, as evidenced by the small boats that head out nightly to catch the bounty that is served up to visitors just hours later. Monywa is a city in Sagaing Division, Northern Myanmar. 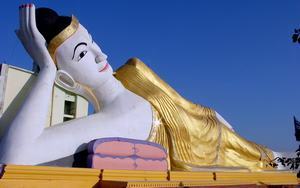 Although by no means one of the most-visited towns, Monywa still has much to offer. The area is a thriving place, with an agricultural and industrialized foodstuff-based economy. It has a significant, commercially strategic location, serving as the gateway to the entire western Chindwin and Irrawaddy Rivers, and even provides access to India across the Chin Hills. The islands offer an extraordinary array of blue and turquoise coral gardens, rare and endangered bird species, silver-white beaches, glass-clear waters, and rich marine wildlife. This magnificent and largely unspoiled area is ideal for anybody wanting to escape the ‘real world’ as – despite its astonishing natural beauty – tourist options are currently remarkably limited. 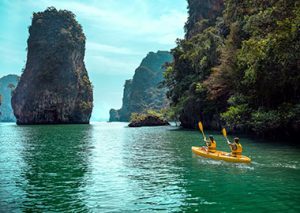 The only two ways to visit the area are either a stay at the Myanmar Andaman Resort or (for the more adventurous) to explore the islands by boat. 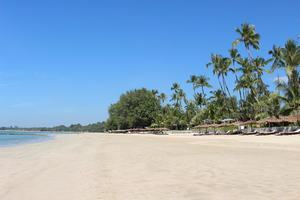 In 2000, Ngwe Saung became Myanmar’s newest beach holiday destination. Literally, the name means “Silver Beach,” and the 14.5 kilometer-long beach, facing the Bay of Bengal, has an unspoiled natural beauty with a very attractive white sandy beach, gently sloping down to the clear blue waters. Dividing the northern and southern parts of the 13 miles of beach here is Ngwe Saung Village, where there’s a constantly-growing selection of decent restaurants. Given Ngwe Saung’s relative proximity to Yangon – a six-hour bus ride away – this is perhaps the best place in Myanmar for a beach getaway that won’t break the bank. Lying on a rocky, isolated plateau in western Myanmar, Mrauk U is one of most the spectacular royal cites in all of Asia. King Min Saw Mon laid the foundation stones of the great city in 1433 CE. The golden age of its 350-year history came under the leadership of King Razagyi, following his conquest of the powerful kingdom of Bago in the early 17th century, and lasted until the death of King Bodawpaya in 1784. In its heyday, Mrauk U served as a free port for trading with the Middle East, Portugal, Spain, and Holland. In Myanmar, you can embark on an expedition to investigate the ancient capitals of Amarapura, Ava and Sagaing, crossing the bridge over the Irrawaddy River into Sagaing. With 600 ivory-colored pagodas and monasteries, Sagaing Hill is generally seen as the spiritual hub of Myanmar, and claims residence to around 3,000 monks and nearly 100 meditation shrines. Continuing through Sagaing’s local market, a less visited tourist site, you can reach Ava, which was the standing capital from the 14th through the 18th centuries. 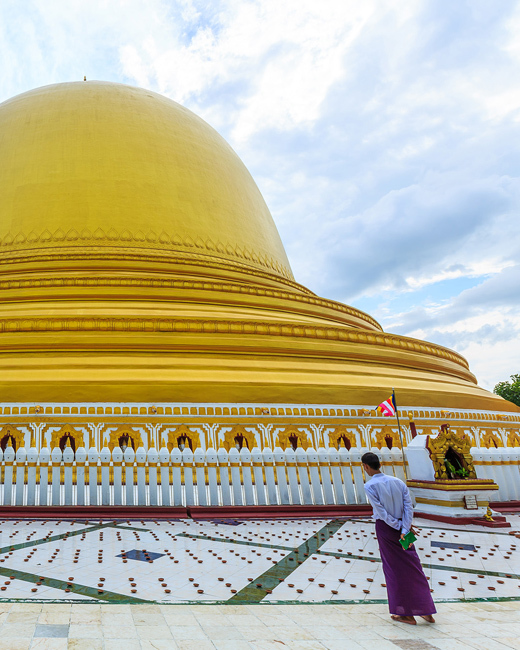 Known as ‘the Golden Rock,’ the Kyaikhtiyo Pagoda is one of the most magical destinations in Myanmar. For both Buddhist pilgrims and tourists alike, it is very much a ‘must-visit place’. The history of the pagoda is legendary, as no official record of its past exists. The Buddhists believe that it was built during the lifetime of Buddha himself – nearly 2,500 years ago. Your guide will doubtlessly regale you with this, and many other equally dramatic tales! Located 165 kilometers from Yangon, at the mouth of the Thanlwin River and across the Gulf of Mottama, Mawlamyaing is the third largest city in Myanmar after Yangon and Mandalay. It is a town full of charm, with many buildings of colonial style architecture. The main attraction to see is the Thanlwin Bridge, which stretches a distance of 11,000 feet over the Thanlwin River (and is the longest road and rail bridge in Myanmar), connecting the country’s southeastern region with its capital, Yangon. 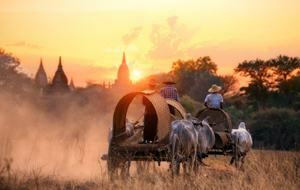 Bagan is, in many ways, one of the most remarkable religious cities in the world. Although historically, Bagan’s glory days may be over, what remains are incredible temple ruins, making it one of the most amazing sites in Myanmar, and a genuine wonder of the world. There is much to be enjoyed in Bagan, whether you choose the comfort of a drive around the thousands of ruins by car or prefer to explore in a more leisurely fashion using either a horse drawn cart or bicycle. Neighboring Countries: bordered on the north-east by China, on the east by Laos and Thailand, on the south-west by the Andaman Sea and the Bay of Bengal and on the north-west by Bangladesh and India. Currency: Myanmar Kyat (1US$ = 1509.19 Kyat, March 2019). At present the following kyat banknotes were in use: K 50, K 100, K 500 and K 1000. A sum of 100,000 is called “thein” in Burmese, so K 100,000 is thein kyat. The electronic visa system is the most efficient way to obtain a 28-day tourist visa. The process takes 3 business days and costs 50 USD which must be paid in advance by credit or debit card. It is currently (as of January 2015) available for citizens of 100 countries but more countries are being added on a regular basis. The visa is valid for arrival at Yangon International Airport, Mandalay International Airport and Nay Pyi Taw International Airport. The application process and policies remain the same, and is applicable to both tourist and business E-Visa types. However, except from the mentioned entrances above, the entrance will be not valid for others land border with an e-visa. – The e-visa is valid for a period of 90 days after the date of issue. Since 01st April 2018, a new “tourist express visa” has been operating. With this new service, you can apply for a regular Tourist Visa using expedited application processing, 365 days a year, with results e-mailed within 24 hours (including public holidays). The cost of this service is $56, and is available to all applicants currently eligible for a regular Tourist Visa. Note that Express Service is not available for Business Visa. 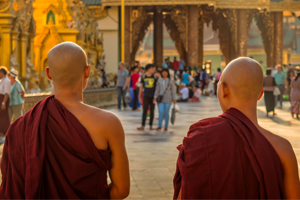 Travelers to Myanmar are not permitted to extend their tourist visas, but overstaying is a possible option for those who may exceed their 28 days within the Union. A fine of $3 per day plus a $3 “registration fee” is charged. There is no exact regulation, but travelers should not exceed this by over two weeks. Overstayers are advised to have exact change ready at the immigration department at the airport (as they are not likely to change $100 bills and they won’t take Kyat). Note, overstaying your visa may lead to difficulties with airport immigration if you’re planning domestic flights, particularly in far-flung airports (like Sittwe or Myitkyina). It’s wise to stick with land routes. Several regions in Myanmar require special permission for travel. In order to secure this approval we may ask for a scanned copy of your passport in advance. For specific areas, we need this scanned copy at least 3-4 weeks in advance in order to assure the paperwork completion. From time to time, due to varying issues, places are closed without prior notice. In this case we will do our best to propose and alternate plan after consulting with the clients. 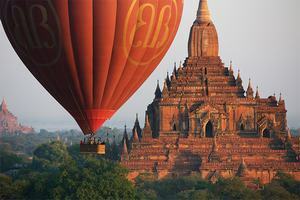 Direct flights to Myanmar are relatively difficult to find. However, many travelers from all corners of the globe can still generally fly to Yangon or Mandalay with one stop. The country is home to three international airports situated at Yangon, Mandalay and Nay Pyi Taw, the last one operating mostly regional flights. Fees for the border crossing sometimes apply and special permissions by the ministry of tourism and immigration are needed for most borders. For the border to China, we currently still need to apply permission for Entry/Departure at Muse (China). A Friendship Bridge has been opened in May 2015 along the Myanmar-Laos border. This border-point has not yet been designated as International Gateway and still requires a permit for any arrival or departure. There is currently no entry/exit checkpoint along Myanmar-Bangladesh border. Please contact your sales consultant for further details and up to date information. Travel within the country is pretty much unrestricted in the for tourists accessible areas. You may travel freely without being questioned. 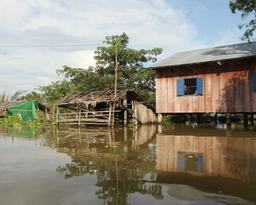 Some remote areas are however restricted to foreigners and need permission to be arranged a few weeks before arrival. Some methods of local transport are still powered directly by people such as the trishaw or horses, although there are many places to rent a bicycle if you would prefer that. Taxis and other modes of travel are available for long journeys within Myanmar. Easia Travel recommends traveling by air, some public buses, riverboat or private vehicle for long distances. Domestic flights are arranged only with Myanmar’s privately owned airlines that are very well regulated. All cars used on tours are air-conditioned (except for some remote rural areas). Other vehicles such as jeeps, vans, coaches and buses are available upon request. There will also be the opportunity for you to charter a ferry and/or a cruise ship. Tourist buses in Myanmar are roomy and are air-conditioned making travel on them comfortable. Taking a local non-tourist bus can be a fun experience for a short period but be aware that they tend to be very full, unsafe and uncomfortable. Some VIP night coaches between Yangon-Mandalay, Yangon – Nyaung Shwe (Inle lake) and Bagan – Nyaung Shwe (Inle lake) are very comfortable with reclining seats, good service. Furthermore, the cost of traveling by local bus in Myanmar is very affordable in comparison to flights. Myanmar’s railway network comprises 2900 miles of railway track and 550 train stations. Traveling by train in Myanmar can be very enjoyable and scenic, especially if you are a fan of trains. However the ride on trains in Myanmar can be on the other hand very bumpy due to bad but steadily improving rail conditions at times and be prepared for delays caused by any number of reasons. – The Yangon – Mandalay line has the least problems of staying on schedule of any train. – The Hsipaw-Mandalay (150 km) is very popular and offers some of the most stunning views ever. (Paul Theroux managed to do this back when foreigners weren’t supposed to, in his book The Great Railway Bazaar). – Kalaw – Shwe Nyaung (Inle) offers beautiful views over the mountainous landscapes of the Shan State. – Most of the other lines are slower and are less comfortable and are not desirable to travel on. Trains that travel long distances have dining cars that are accessible to passengers traveling by first, upper and sleeper class. There is also the opportunity to buy food from vendors on the platforms when the train stops which happens quite frequently. 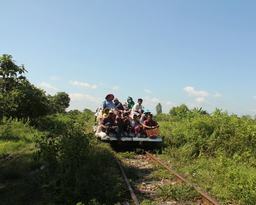 This is by far the most convenient and scenic way to travel in Myanmar except walking. The cost of renting a car however might be more expensive than one would think due to a shortage in gasoline and car parts in Myanmar. The cost of renting a car for drive between cities is between $100 and $190 US dollars. Bear in mind that you cannot drive a car in Myanmar and if you do so it could cause some problems with local authorities. Easia Travel can propose a vast array of automobiles available for you to choose from for your drive. These vehicles are in good condition and have air conditioning. Among the most popular and reliable rental cars in the country are second-hand, reconditioned Toyota Corona hatchbacks imported from Japan from 1988. Cars that are slightly more up to date are Toyota Chasers (from 1990 to 1992).Myanmar also produces its own Mazda jeeps – MJs – 80% local parts. These jeeps are great for off-roading. 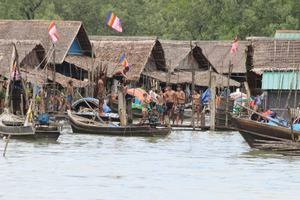 – Mandalay to Bagan – on IWT (Government ferries) or privately-owned boats such as Malikha or RV Shwe Keinnery. Charter boats are also available for rent such as MS Hintha or RV Yandabo. – Myitkyina to Mandalay via Bhamo – Operated by a number of privately owned speed boasts and IWT ferries. 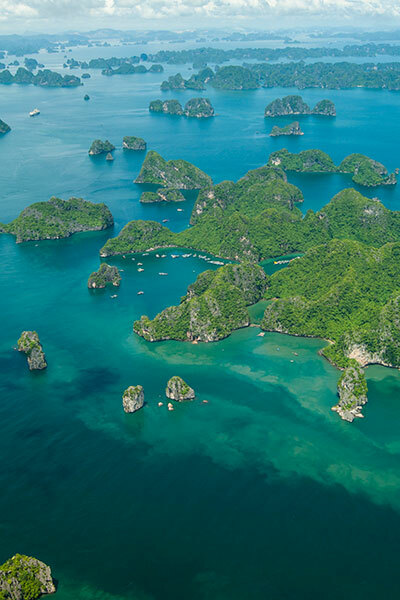 In addition to river cruising, the southern Mergui Archipelago is an increasingly popular place for cruising with the option of adding scuba diving around the islands. For more affluent travel on newer vessels, some luxury boats operate in the upper and lower regions of the Ayeyarwaddy River. We offer cruises of between one and 14 nights along the river between the cities of Yangon and Mandalay. Please check with your sales consultant about the latest programs. When you offer something to a monk, nun, or an elderly person, use both hands. With others, apart from casual transactions at shops or food stalls use your right hand or both hands. Please ask before taking photos of people– particularly monks. Don’t point your feet at anybody or anything. As well, be sure not to sit with your feet pointed at a Buddha image (sit cross-legged or with your legs tucked behind you). Do not accept any kinds of drugs here. 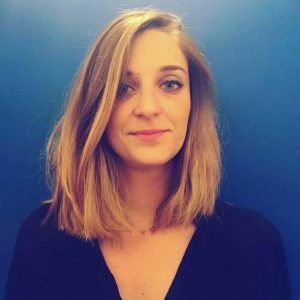 Penalties for drug-trafficking range from five years’ imprisonment to a death sentence. All USD brought into Myanmar must be in pristine condition (new or nearly new bills). Make sure that paper notes are not marked or stamped IN ANY WAY. Pencil marks can be removed, but any permanent marks will adversely impact a note’s value or cause it to be rejected entirely. Do not have any creases or fold lines on the bills either, since this will also decrease a note’s value. Make sure that your bills are current US currency; none of the older variations, such as those depicting smaller images of presidents, will be accepted. If you are carrying 100 USD bills, make sure that their serial numbers do not begin with “CB,” since this will possibly result in the bill’s rejection. 100 USD bills yield the best exchange rate, while smaller denominations are slightly more expensive to exchange. The Euro is rarely used in Myanmar, even at major hotels, so visitors traveling with Euros will need to convert their cash to Myanmar Kyats, and it’s easy to exchange Euros into Kyats in major tourist destinations such as Yangon or Mandalay. We suggest exchanging your Euros into Kyats upon arrival in Myanmar, or exchange Euros for USD before you enter the country. The network of ATMs covers Myanmar’s most visited cities. The maximum amount allowed per withdrawal is 300,000 MMK, and the daily maximum amount you can withdraw is 1,000,000 MMK, subject to the limit set up by the issuing bank. The ATMs charge a small fee of 5,000 MMK, or the equivalent for each transaction. Some Visa cards are restricted by the issuing bank for overseas usage, so guests may need approval from their issuing bank. Credit cards are accepted by a few vendors, which are usually high-end hotels or shops. However, they usually carry a 5-10% surcharge, and do not always work. Please note that the Burmese banking system is still developing, and neither ATMs nor credit cards should be relied upon as the sole source of cash for your holiday. Traveler’s cheques are not accepted in Myanmar. Traveller checks are not accepted in Myanmar. These certificates are no longer in use in Myanmar, and were outlawed as of March 2013. Some guidebooks may still carry erroneous information about the validity of FECs. In Myanmar you are expected to bargain. Do so freely but respectfully. Keep a smile on your face, be realistic about the expected discount and if the vendor does not reach your final price do not push him or her too hard. If you travel to Myanmar prepared your chances of becoming ill are very low. Make sure that you have that all of your vaccinations are current and that you are vaccinated for Tetanus, Polio and Diphtheria. Other vaccines recommended include Hepatitis A and Hepatitis B (if you are in-country for over 3 months), Typhus and Tuberculosis, vaccinations against rabies and Japanese encephalitis are also advised. Officially there are no vaccinations required to enter Myanmar. However, any travels from West Africa, Central Africa, Central America or South America need to present vaccinations records against Yellow Fever upon arrival but this is often overlooked by the authorities. Please be advised that the medical infrastructure in Myanmar is still quite limited, and therefore we usually recommend that guests travel to Bangkok or Singapore (located quite close to Myanmar) in case of grave illness or serious injury. It is for this reason that we advise all guests to obtain comprehensive medical insurance, including on-site medical and repatriation expenses, in particular. Please also be aware that hospitals do request a guarantee that their costs will be covered. Without insurance, emergency services must be paid for immediately and in cash (USD), and are often very expensive. However, comprehensive medical insurance coverage will cover the costs directly, avoiding any immediate and expensive cash payments. Please rest assured that we will always assist our on-the-spot travelers to the best of our abilities in case of required medical intervention. While traveling upcountry, we will always send an agent from the office to help the guests communicate with the doctors. Yangon, Mandalay and Bagan: there are good hospitals in Myanmar’s major cities (Yangon, Mandalay, and Bagan), whose teams are composed of international doctors: Parami Hospital, Victoria Hospital, Asia Royal, and Global Care Bagan International Clinic. 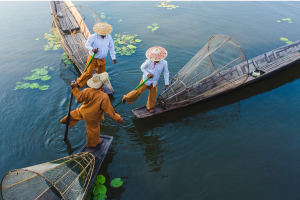 Inle Lake and Loikaw: in Inle lake and Loikaw, there are only local doctors. However, 2 hours away from Inle Lake (in Taungyi), there is a hospital, should the situation be serious. Ngapali: in Ngapali, almost all hotels have a doctor on-call, and there is a small clinic, managed by the French AMFA, but its services are quite basic. Cool evenings necessitate the need for pullovers or a light weight jacket. Footwear: You will need some sturdy comfortable boots for trekking or just walking around. They will need to support your ankle as well as having a non slip sole. In this important, quite large event, almost all the different clans of the Kachin Race gather in Myitkyinato to rejoice at the Manaw Festival. Originally, this festival was rooted in animist beliefs to show gratitude to ancestral spirits and pray for a bright future. Usually held on the 10th of January on Kachin State Days, today, the festival is a simple celebration of the New Year, the reunion of tribes, and victory in battle. Everyone attends this festival wearing his or her best traditional costumes. One of the biggest events on the Bagan Calendar, the Ananda Temple Festival features a huge variety of dances, songs, and even the incredible, fascinating story of Anyeints: A theatrical performance which lasts for several hours, and provides a fabulous mix of comedy with traditional puppetry. About four or five days before the full moon, caravans from villages around Bagan make their way to the festival, camping around Ananda Temple for about a week, making the area look (and feel) just like a country fair. Hidden deep in northwestern Myanmar, in the vicinity of Chin Hills, Nar-ga villages are spread around small towns of Lahe, Layshi, Hkamti and Nanyun. So far, the area is very remote and quite difficult to access -and that’s what inspires curious adventurers of the world.The Nar-ga New Year Festival takes place annually from the 14th to 15th of January, and is essentially a ceremony of thanks to Mother Earth for a bountiful harvest, and the time, once in the whole year, when different tribes meet to sing, dance and feast together. Located at Kyaik Khauk Pagoda, the atmosphere of the Golden Hilltop Festival is remarkably similar to a festive fun fair. Visitors will delight at a large variety of stalls that offer delicious local cuisine, clay pots, furniture, and bamboo mats. Performances take place well into the night, and villagers travel from all around by ox-carts to join in the fun and excitement of this fantastically colorful festival. 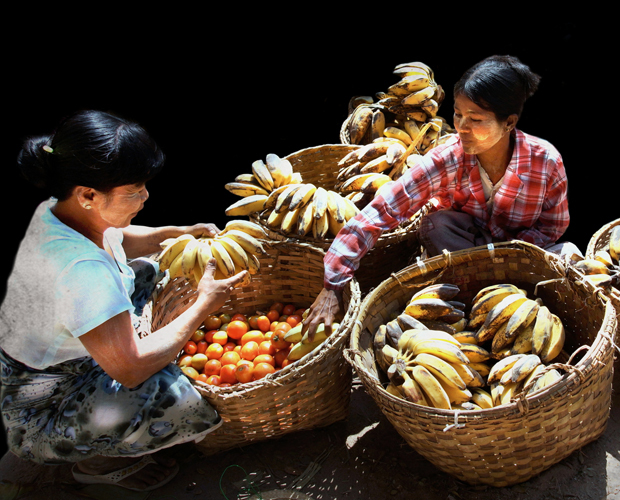 Tabodwe is the 11th month in Myanmar’s Lunar Calendar – a month of new harvests throughout the country. During this month, all over Myanmar, a savory snack made from glutinous rice called “Htamane” is prepared in abundance – it serves as an offering of new harvest to pagodas and monks, to friends and neighbors, and to gain merit in the Buddhist sense. Htamane feasts in some parts of the country are held as a form of friendly competition. Like most pagoda festivals in Myanmar, the Nyantaw Pagoda Festival features all the Burmese colors and livelihood, along with beautiful song and dance, that makes these incredible, pagoda-side events so entrancing. During this time, many Shan people and other hill tribes come down to sell their products to the revelers. This colorful festival generally lasts for two weeks, with the renowned image of Mahamuni Buddha at the center of the activities. Many devout Buddhists from around the country make pilgrimage to Mandalay for this festival, who burn incense sticks to commemorate Buddha. A variety of local shops and food stalls are set up, especially in the evening and at night, where visitors and devotees can see a number of authentic local plays, dances and songs. Throughout the festival at the Pindaya Caves, thousands of pilgrims come to worship at the pagoda. Here, hundreds of small stalls line the entrance of the pagoda, chock full of local foods, handicrafts, Burmese cigars and much more. Shan tribes also parade their fantastically colorful costumes, making for a great traditional element to appreciate. The Indawgyi Festival takes place approximately 160 kilometers from Myitkyina and lasts for 8 days. The pagoda festival held here in February or March attracts more than 100,000 devotees from the surrounding areas, and at this time of year, towards the end of the dry season, the water level is low enough that one can walk across to the pagoda from the mainland on a wooden walkway, with two walkways actually constructed. Once a year, the “Four Images of Buddha”, usually locked away, are displayed for the public to worship. 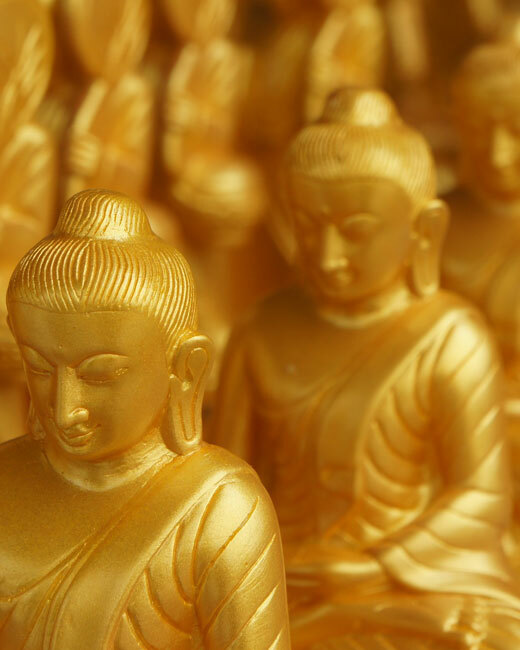 Gilded with gold leaf, many Buddhists come from around the country to witness these incredibly holy images. Villagers from Palaung and the many hill tribes scattered around the area come here to sell their tea, jewelry and various other hand-made products, as well, making for a very diverse group of devotees, vendors, and visitors. A traditional Shan festival, in the north of Pyin Oo Lwin, this event is defined by the stalls and vendors selling practically every possible product imaginable and the traditional ethnic performances. The Shwedagon Pagoda Festival is mostly celebrated on the full moon day of Tabaung in February and/or March, depending on the Lunar Calendar. This festival is for the enjoyment of all citizens, from every country in Myanmar, who bring water, light, and flowers to the seemingly- endless images of Buddha. The day concludes with people praying and worshiping Buddha, all in their own time and ways. This lively festival features live performances of traditional song and dance, and, as with many (if not all) Burmese festivals, many locals come out to sell their products. One of the best-selling products in this region is a traditional toy, made of dried toddy palm leaves. Be sure to pick one up! Exuding the vibrancy and life that the other Burmese pagoda festivals bring forth, this evening’s entertainment includes Zats, Anyeints, stage shows, and fairs selling all kinds of treats and goodies. Similar to Thailand’s Songkran Festival, the Burmese New Year is celebrated in April, and everyone has a great time washing the sins and negativity of the past year away. While the young and young at heart head out to the douse each other with water, the older take retreat in pagodas and monasteries to perform meritorious deeds. This is the time of year when it’s very difficult to stay dry-everyone throws water at everyone, but it’s certainly refreshing and fun to play into it! Mt. Popa is one of the most sacred religious sites in Myanmar and home to a prominent Nat (spirit) worship center. During this festival, various Natdances on Mt Popa can make it quite crowded, and accessing the mountain at this time of year can prove to be somewhat difficult. However, travelers to this annual event will find a cultural gem unlike any other one that will never be forgotten. The main attraction of this fascinating festival is the Chin Lone (Cane Ball) tournament, which takes place in the Mahamuni Pagoda and can last for weeks, even months. Local Cane ball players make their way from all over the country, and teams from other countries even take part in this incredible competition and display of athleticism. This lively and charming little festival and market is held around Ho-Shin Pagoda, where travelers can find entertainment like Zats, Anyeints and even movies. This festival takes place in the Burmese month of Wagaung. Farmers decked out in colorful dresses and accompanied by amazing bullock carts ride alongside traditional performances and crafts, including several kinds of ceramics from Sagaing and Kyauk Myaung, displayed on the riverbanks. The festival is celebrated to honor the two powerful spirit brothers of Bagan Era, named Taung Byone Min Nyi Naung. This festival is also said to provide a prominent and effective gathering spot for mediums to contact spirits. One of the most exciting, vibrant, and spiritually important festivals for Nat worshippers in the country, this festival comes complete with stunning dances and traditional performances. This Nat-centric celebration has actually become famous because of the enjoyable rowing trip to the site itself. The festival is held in honor of Mewanna, the mother of the Taung Byone Nat brothers, and the Goddess of Popa, a powerful spirit and protector of women, whose main shrine is on Popa Crest, near Bagan. Nat worshippers celebrate this festival for the Mother who returned from Taung Byone Festival on her way to Mount Popa, while stopping at Yadanagu along the way. The Boe Boe Gyi Nat Festival is held to celebrate the fabled alchemist Boe Boe Gyi, who is now worshipped as a Nat. Near Taungthaman Lake, pilgrims at the ceremony throw packets of tea leafs at one another, and those who are hit by the packets must visit the following year without fail! This festival is celebrated at the Shwekyetyet Pagoda right on the banks of Ayeyarwaddy River. Like other Myanmar pagoda festivals, shops, food stalls, music, and songs flood the streets as merry revelers arrive at the festival. On some occasions, if there has been minimal to no flooding, rowboat competitions are also held. Those who attend the Phaung Daw Oo Pagoda Festival will marvel at the procession of leg-rowed boats, which, in true ceremonial fashion, drag four giant statues of Buddha on a barge across the picturesque Inle Lake–truly a spectacular sight to behold. All throughout the festival, leg-rowed boat races take place on the lake, and hundreds of other vessels bobbing about in the water add to the festive, vibrant environment. Situated in a small town not far from Mandalay, an exotic “dummy elephant” dance festival takes place at KyaukSe. Locals construct a huge, yet comparatively feather-light elephant from paper and bamboo, while other men take their places inside the float and dance around the town to the beat of the Dobat and drums. The color and excitement is quite similar to most other pagoda festivals that take place in Myanmar, and there are truly no shortage of these vibrant and authentic types of celebration that take place all over the country in one form or another. Thadingyut, or the Festival of Lights, marks the end of the Buddhist Lent, and is also one of the most prominent and important festivals of the year. Thadingyut is not only for joyous celebration, but also thanksgiving and paying respects to Buddhist monks, teachers, parents, and elders, as well as asking pardon for whatever misdeeds might have committed in the past. Annually, after the full moon day of Thadingyut, the Shwe Kyin Floating Light festival is celebrated by a creek, near a small town in Shwe Kyin, near Bago. This festival is truly like experiencing a moment of authentic, traditional history, preserved in living time. Rowing races dominate the day, but the highlight of the festival occurs only after darkness falls, when locals launch hundreds of lit candles on floating paper boats onto the water. The Indein Pagoda Festival is a prominent Buddhist ceremony that takes place at this fascinating and beautiful site – the aged shrine complex by Inle Lake. The tranquility of the lake and even the pagoda itself, to say nothing of the festival’s rituals, will certainly enchant. This decidedly authentic and quite traditional festival features a number of bullock carts, which carry products and produce from the surrounding hill tribes, who’ve come to sell their wares. Another festival of vibrancy and color courtesy of the fantastic products of the local people, this celebration features a number of stalls selling beautiful, hand-woven cotton, clothes and cane mats. One of the most famous of the festivals in all of Myanmar is doubtlessly the Balloon Festival in Taunggyi. This bombastic festival features fireworks, along with a hot air balloon contest which starts in the day and lasts well into the night. During the day, onlookers can marvel at balloons in the shape of pagodas, while at night, they bring out balloons that resemble picturesque lanterns that light up the night sky. Like many of the Buddhist pagoda festivals across the country, the Shwezigon Festival features all the color, life and vibrancy that one would come to expect from learning about these numerous and diverse celebrations. Zats plays a prominent role in the festivities, and the festivities feature a number of dances and songs, as well as full-fledged plays. The Tazaungdaing Light Festival is held throughout the country before and on the full moon day of lunar month Tazaungmone. Streets are filled with lights, and Buddhists dress in full robes at Ka-htain. On this day, a staggering total of 9,999 candles are lit at midnight, and revelers enjoy mixed salads, consisting of Maezali buds, which believed to possess magical and powerful properties when eaten at this time. This unique festival takes place at the time of the Ta-Zaung Dine Festival, where people throw lotus flowers from the top of a giant stupa at Mahamuni Pagoda. Visitors come to pay homage to the Lord Buddha. This festival takes place at arguably the most spectacular and breathtaking location in the entire country. The Kyaikhityo Pagoda Festival is held the site where a massive boulder hangs delicately over the edge of a peak. Pilgrims travel from all over the country to witness the full moon and 9,999 candles lit at midnight in this absolutely stunning and almost otherworldly experience. This is yet another fantastic pagoda festival that is truly unique to Myanmar. Color and excitement take over Monywa, and a number of plays, songs and traditional dance take the day and night to exciting heights. Of course, vendors will arrive, some with beautiful, locally produced items like local thanaka, sandalwood, and vibrant textiles. Like other pagoda festivals, with the usual vendors and vibrant, Burmese color palate, visitors can also find Myanmar’s thanaka, sandalwood and woven textiles (cotton blankets and longyis mainly) around the pagoda area, much like during the Moenyin Thanboddhay Pagoda Ceremony. The Robe Weaving Contest is a massive, country-wide celebration, and takes place prior to the full moon. The contest decides which team of women has and can demonstrate the best weaving skills. The robes they weave, called “Ma Tho Thin Gan”, are a rich saffron color and truly show dedication and skill.